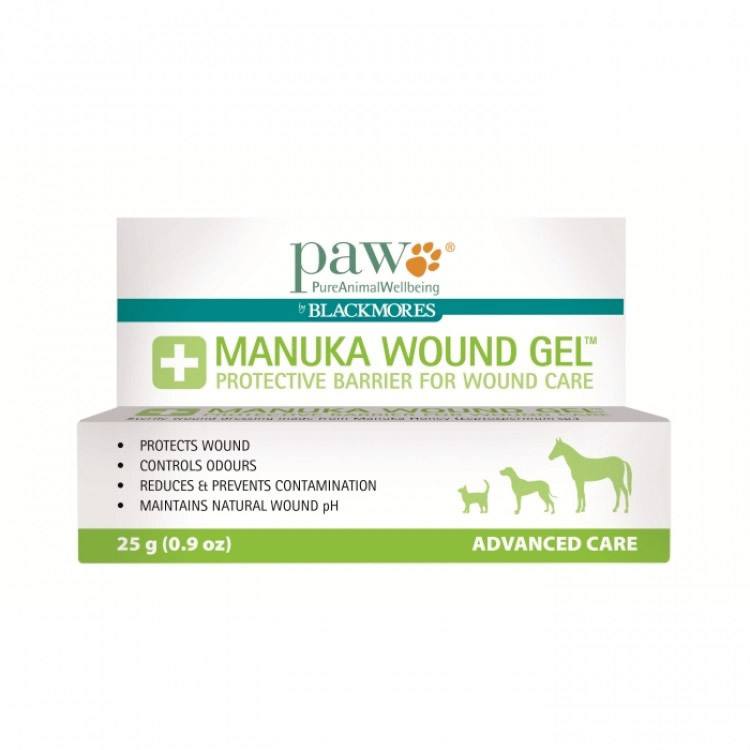 PAW Manuka Wound Gel is an ideal treatment for your dog's wounds, grazes, and burns. For us at Waggle, it's a staple for thec anine (and kitty) first aid kit. The gel is a medical grade wound dressing made from 80% manuka honey and a special blend of natural oils and waxes to reduce the stinging that can happen with pure honey. 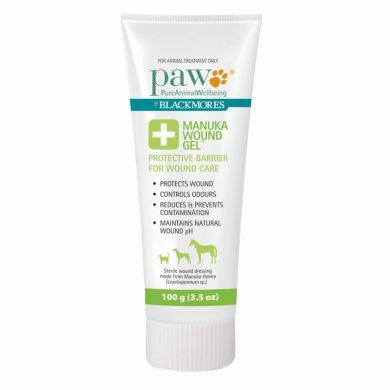 It's totally natural and non-toxic for animals, so it's no worries if your dog licks a bit off. 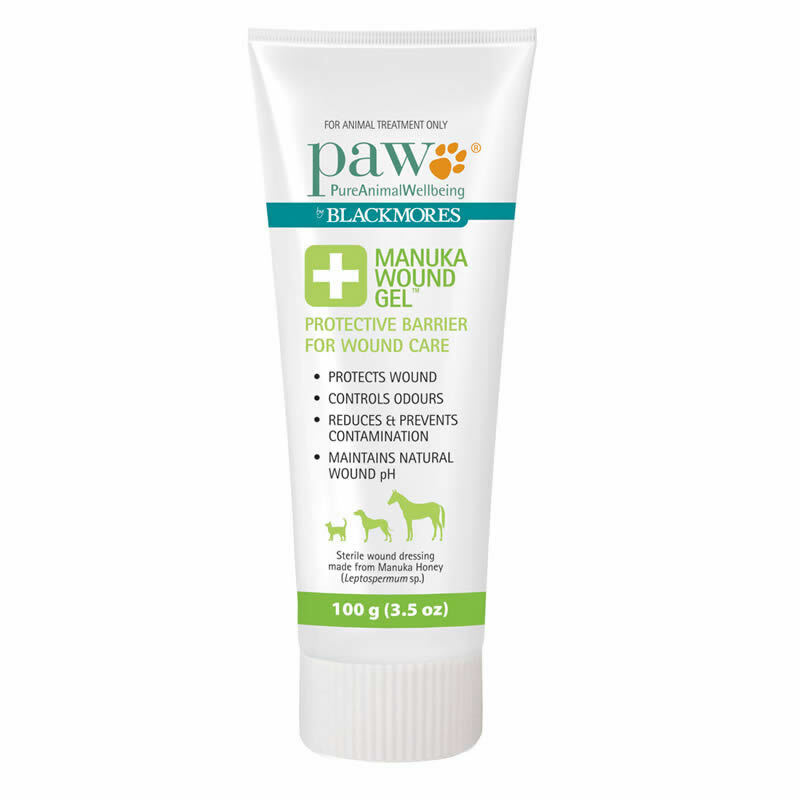 PAW Manuka Wound Gel helps to protect the wound from nasties reducing the risk of contaminnation and infection. 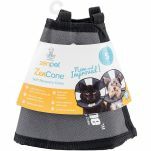 The gel is non-adherent so it reduced trauma when it's time to change the dressing. 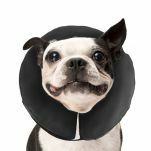 It also takes away that nasty smelling wound smell!